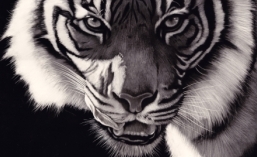 The International Society of Scratchboard Artists 2012 Exhibition is available for preview. There are some incredible artworks displayed and I literally cannot wait to get over to Glen Ellen in California to see the actual show. If you’d like to see why I’m so excited, click the link below and enjoy. The show runs for the whole of July and there is an artists opening (which I am flying over for) on the 7th July.